Up for offer is this lovely Halloween colored needle book. It doesn't scream Halloween so it can be used everyday especially for those who just love orange and black. This piece is 4" in diameter and opens up to be 8 1/2" long by 4" high. The front of this piece was stitched on a lovely piece of Lakeside Linen with WDW limited thread color called Jack-O-Lantern. 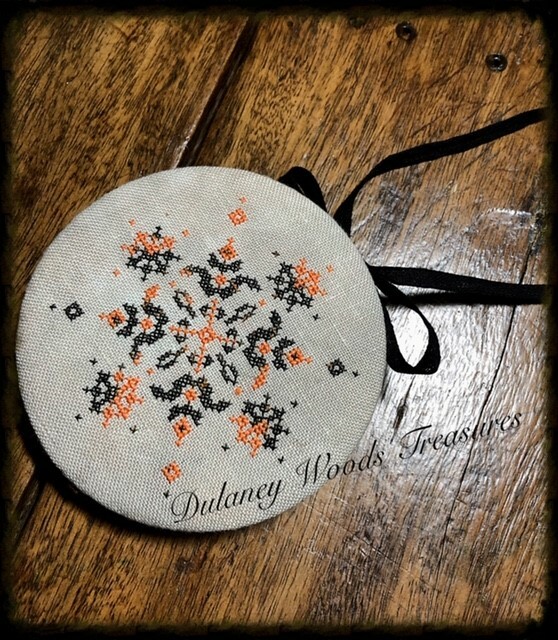 When you open the needle book up (click on photo to see more photos) you're greeted by a beautiful orange/black/tan paisley cotton fabric. On the left side it has two white glass head pins, a pair of small bronze scissors and two antique mother of pearl buttons. 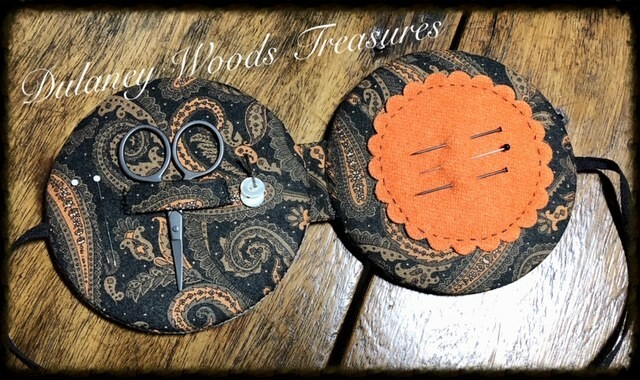 On the right side there is a beautiful circular scalloped orange wool piece that you'll be able to house your pins in. As you can see from the photo is already holds a few black pins and a glass headed pin already. Asking $62 plus $8 for US shipping.